DataFlair is the leading training provider of niche skills like Big Data - Hadoop, Apache Spark, Apache Flink, Apache Storm, Apache Kafka, etc. DataFlair's mission is to provide quality education at affordable price to help everyone develop their career in latest technologies. We aim to reach the mass through our unique pedagogy model for Self-paced learning and Instructor-led learning that includes personalized guidance, lifetime course access, 24×7 support, live project, resume and interview preparation and ready to work level learning. We aim to provide real time technical experience to learners through our expert instructors . We will strive to continuously upgrade our offerings ensuring that we can cover all technologies and courses are up-to-date with latest industry needs. DataFlair is the leading training provider of niche skills like Big Data - Hadoop, Apache Spark, Apache Flink, Apache Storm, Apache Kafka, etc. DataFlair has successfully trained 10000+ candidates across the globe in span of last 2 years with its unique pedagogy model. DataFlair provides courses in both live online training mode as well as self paced modes. All the instructors at DataFlair are working senior working professionals in leading companies. 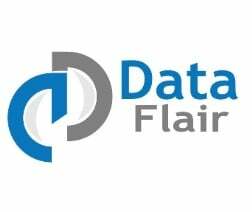 DataFlair has started with the mission to provide quality education at affordable price to help everyone develop their career in latest technologies. Our vision is to provide quality education in cutting edge technologies. Read reviews and discover other eLearning Industry community members's experience with DataFlair.